CWU members in Northern Ireland are to take strike action after two colleagues were suspended. 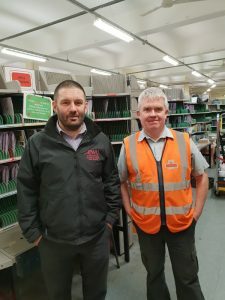 Craig Stewart and Jim Magowan, from Bangor Delivery Office, were handed two-year suspended dismissals in September for an alleged “non-completion” of a duty, but they, their workmates and their branch insist that the pair followed the proper procedures and that the disciplinary penalties are unfair. Despite pursuing an appeal through the internal procedure, the company maintained the penalty against the pair and the branch was left with no alternative but to request a strike ballot last month – which returned a 81% majority in favour. The strikes will take place on February 23 and 25. Meetings between the company’s senior Northern Ireland and the union have taken place over the past week and there are plans for further discussions.